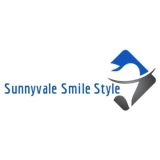 Sunnyvale Smile Style (Sunnyvale) - Book Appointment Online! She's very patient with her patients. She's also very thorough. She takes the time to explain what's going on and willing to create a treatment plan if necessary. I'm so grateful to have found her to make going to the dentist less horrible than I've experienced at other practices.